Diabetes is a chronic, many times debilitating disease that affects millions of Americans each year. In many cases, people weren’t even aware that they had diabetes until it was accidentally discovered by physicians in one way or another. There are three different kinds of diabetes with some overlapping symptoms and equally, overlapping treatment. They are type 1 diabetes, type 2 diabetes and gestational diabetes. This article deals with the manner by which diabetes can be successfully managed but it must be borne in mind that there is no known cure for it. The key word that we are dealing with here is the successful management of diabetes to offset, reduce or treat the symptoms that are typical of diabetes in its varying forms. These objectives can be obtained through careful monitoring of physiological characteristics such as blood pressure evaluation and blood glucose monitoring. By getting educated on diabetes, good exercise, medication, nutritious, balanced meals and proper foot care, diabetics can live well. 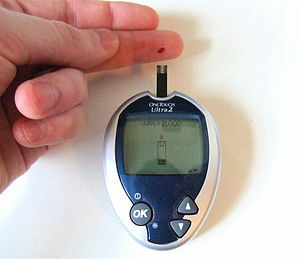 Needless to say, the overall purpose of diabetic management is to not only live longer but to ensure a better quality of life as well as diminish the symptoms associated with diabetes and the potential threats to the human physiology such as kidney failure, blindness, heart disease and even amputation. Bearing in mind the swift, frightening manner by which type 1 diabetes can accelerate to dangerous, life threatening levels, it is vital that the newly diagnosed diabetic acquire the skills relevant to the management of diabetes. Some of these skills are knowing how to self administer medication through oral use or my insulin injection, reading and understanding urine samples for keytone levels (this is for type 1 diabetes only), planning a good diet and regulating when you eat, how to manage yourself if you’re feeling the effects of diabetes and how to evaluate and maintain records of blood glucose levels. Maintaining regular contact with your family physician and obtaining the knowledge necessary for the successful management and treatment of diabetes is important as a wealth of valuable information. Your doctor will keep you on track with the correct information as regards exercise, diet and blood glucose monitoring but remember, sharing information goes both ways; maintaining a good record of your activities, glucose levels and diet intake and sharing that information with your physician will keep everyone involved with your diabetes properly appraised so that the necessary adjustments can be made to maintain a healthy, active life in spite.